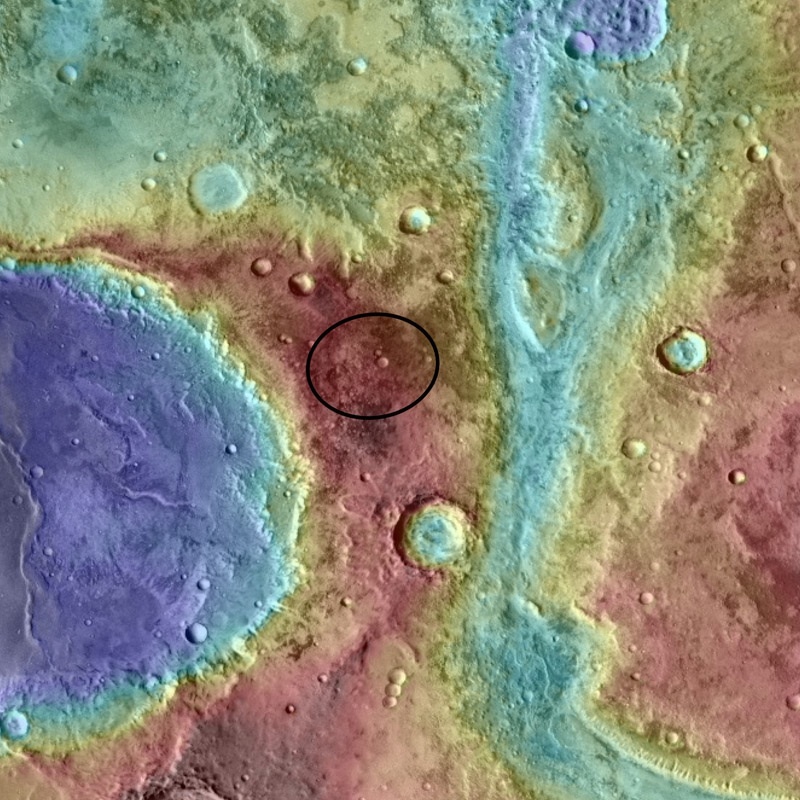 In the NASA photos below the sites and the landing ellipses are from top to bottom: Eberswalde, Holden, Mawrth Vallis, Gale Crater. The fourth Mars Science Laboratory Landing Site Workshop was held in Monrovia, CA Sept. 27-29. More than 150 people attended the workshop where discussions were held for deciding the landing site candidates for the next Mars Rover mission. The new rover is called “Curiosity” and it is scheduled for a late 2011 launch with landing in August 2012. According to a press release last October 8th, the sample analysis hardware is in “flight configuration”, that means it is all set to go. It is undergoing environmental testing (heat, vibration, etc.). 1. Gale Crater (4.5°S, 137.4°E). 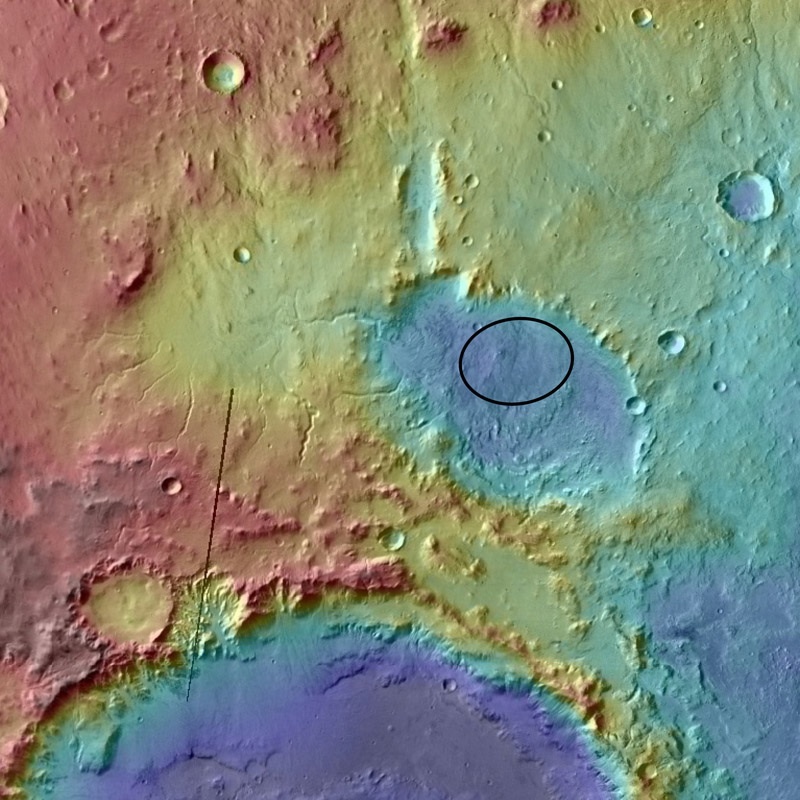 This crater includes a mound of stratified rock. It might be the thickest and most diversified rock segment of this type that can be accessed with current technology. One picture of this shows erosion features but the lines seemed just a bit like Europa. The various strata show that there were differences over time but without sampling the material it is difficult to associate strata with specific times. 2. Mawrth Vallis (24°N, 341°E) - This is an area that gives access to many kinds of rocks ranging from the early Noachian period (4.5 billion years ago) to the end of the Hesperian period (3 billion years ago). 3. 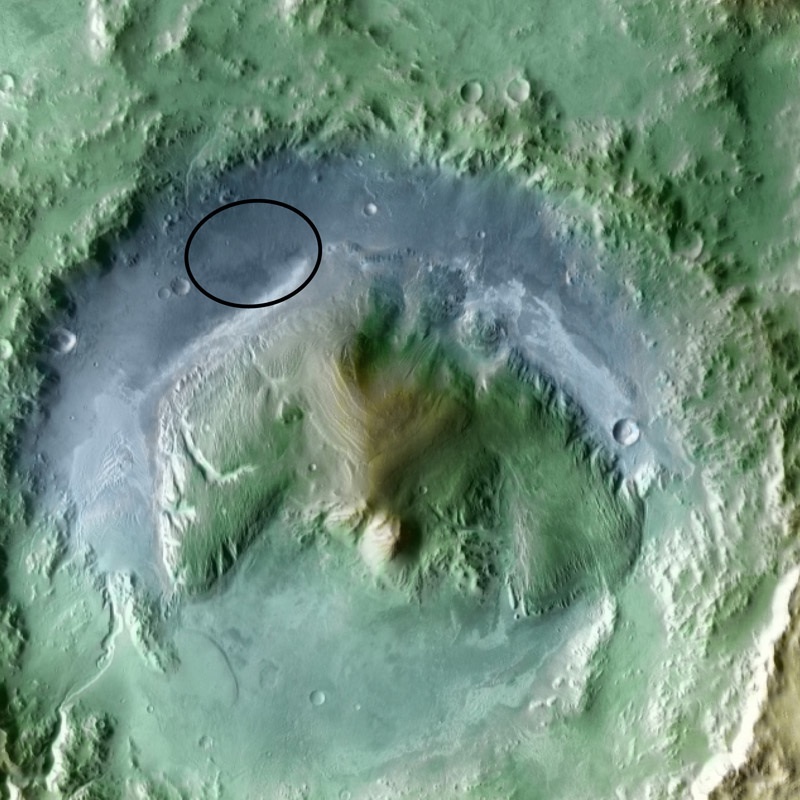 Holden crater (26°S, 325°E) - The landing area at this crater is near the location where there is a lot of evidence of flooding and weathering. A lot of the material is phyllosilicates (you can imagine what this word means by breaking it down: silicates are mineral made largely of silicon, phyllo is that thin dough used to make baklava and other gastronomical delights). 4. 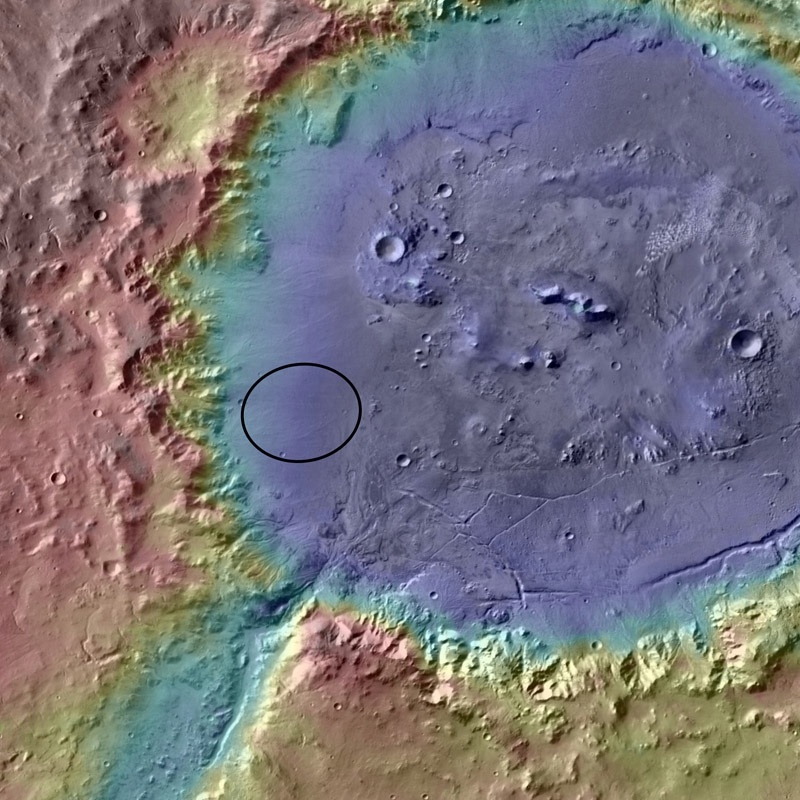 Eberswalde crater - This crater is just north of Holden and it has a more teardrop shape rather than the typical crater circle. Eberswalde predates Holden and contains Holden ejecta. A key test here would be the old river delta to see how deep it is and the size of the particles. (23.9°S, 327°E). A letter summarizing the results of this workshop says that all 4 sites have merit, seem to be safe landing sites, and should remain under consideration. There will be one more workshop in the Spring of 2011. Previously, the sites NE Syrtis and Margaritifer were rejected for landing hazard reasons. That fifth and last workshop will probably be in the L.A. area as all of the previous were. My uninformed opinion is that Holden is the leading candidate because it may have the best evidence of an ancient but habitable past.